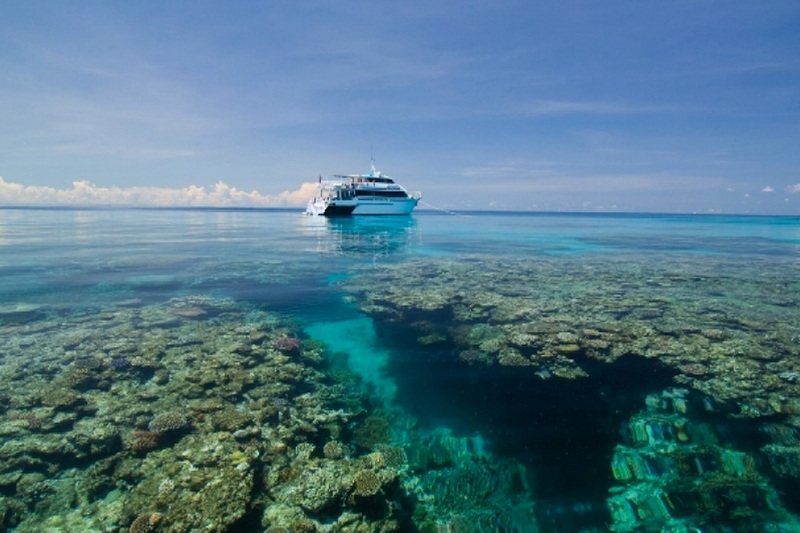 The 3 Day Great Barrier Reef Liveaboard will have you participating in up to 11 dives or snorkels at 16 exclusive sites on the Outer Reef. With premium dive vessels, Pro Dive is a favourite when it comes to providing the perfect boat for ideal diving and snorkelling. Take in sites selected for their extravagance of marine life and excellent visibility- these sites are rarely visited by other vessels. Divers and snorkellers get the opportunity to view magnificent hard and soft corals, giant clams, turtles, stingrays and the largest variety of tropical fish of all sizes. These vessels are 25 metres in length with central air-conditioning. And when you are not under the water, relax on one of the two large decks which are great for sun-tanning or resting! Take on a real adventure with Pro Dive today! 7:30pm - The night dive! We generally try to do the night dive at the same site as the afternoon dive, as this way you are familiar with your surroundings. Keep a close eye out for our sleeping turtles, crustaceans and the occasional reef shark! AU$80 Reef taxes, fuel levies, port departure tax and admin fees.This charge is applicable to all passengers travelling out on the 3 day/2 night Liveaboard Dive trip and all Dive Courses combining the 3 Day trip. Optional Extras: Underwater camera hire AU$45 per dive or AU$120 for the entire trip, Padi Advanced Course AU$165 or Nitrox (Enriched Air) Course AUD$165! Important Information For Certified Divers: You will be required to sign a Waiver Release & Indemnity Deed onboard the vessel. This trip is fully refundable up until 48 hours prior to departure. Please note full cancellation fees apply if cancelling within 48 hours prior to travel. All client cancellations forfeit 25% of total ticket price and all client cancellations made less than 21 days prior to departure will result in complete forfeiture of the full price of the tour or package. If the tour operator has to cancel the trip or activity (prior to the departure) and we cannot offer a suitable alternative, then a refund will be given minus card fees. We strongly recommend that you have travel insurance, especially during the wet season. Please advise us before booking if any passengers are under 18 years old to ensure this is the appropriate trip.